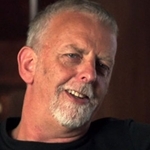 Producer and writer Andrew Knight (pictured) has been awarded the Longford Lyell Award for his outstanding contribution to film and television at the 4th AACTA Awards, held last night in at The Star Event Centre, Sydney. Knight was writer and co-producer of comedy series Fast Forward, Full Frontal and The D Generation. His other television credits include Seachange, After The Deluge, Tripping Over, Kangaroo Palace, My Brother Jack and Crash Burn. More recently he was a writer for ABC series Rake and had adapted novels Jack Irish: Bad Debts and The Broken Shore for television. He was presented the award by Adam Zwar and Dave O’Neil, with special tributes from Eric Bana and Shaun Micallef. It was a big night for ABC among the television categories, taking out 18 awards including Best Television Comedy Series (Utopia). Drama series The Code took out a total of six awards, including Best Television Drama Series, Best Lead Actor In A Television Drama (Ashley Zukerman) and Best Guest Or Supporting Actress In A Television Drama (Chelsie Preston Crayford). Marta Dusseldorp (Janet King) won Best Lead Actress In A Television Drama. Telemovie Carlotta and ABC2 series Please Like Me won two awards each. 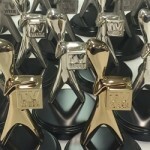 The Nine Network won two AACTAs — Hamish And Andy’s Gap Year South America won Best Light Entertainment Television Series and The Voice Australia won Best Reality Television Series. Foxtel series Devil’s Playground won Best Telefeature Or Mini-Series. Among the winners at the luncheon presentation held on Tuesday were ABC’s Black Comedy, The Flamin’ Thongs and documentary Tender. 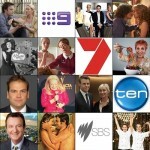 The Seven and Ten networks and SBS did not collect any AACTAs. 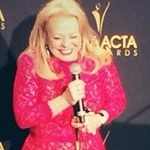 The 4th annual AACTA Awards were on a delayed broadcast on Network Ten, though AACTA themselves were tweeting the names of award winners hours before the telecast was due for its first airing in AEDT states.